This is the Third installment of a set of magic icons. The first installment is here. Each spell comes in three power levels. Additionally most spells have several (up to nine) color variations. The colors were chosen for their distinctness, and to support and wide range of possible classes of magic and or damage types. For instance the red version of the "enchant weapon" spell could be used to add fire damage to weapons. Game designers can figure out how to best apply these art assets to their system. This installment adds frames, in 10 styles, and several colors each. 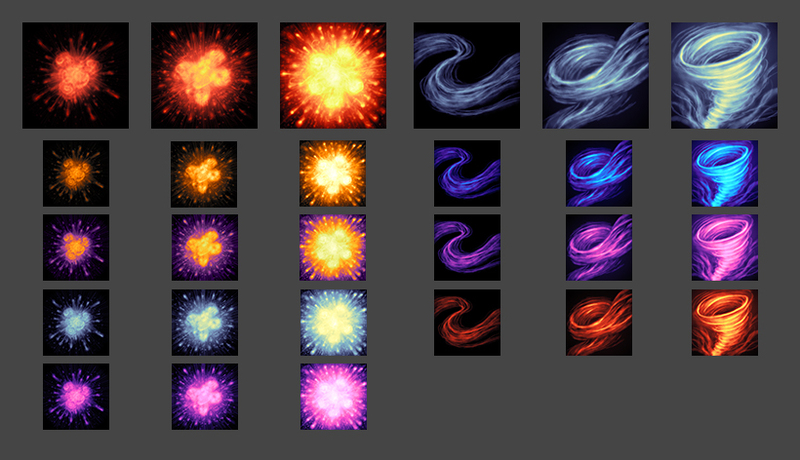 Frames can be added over the icons to indicate magic class, spell type or whatever works for your project. 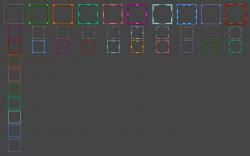 All icons are 256x256, but have been designed to be easily recognizable down to 32x32. If you find these icons useful, I'd appreciate it if you send me a line, with a link to your project -- just to satisfy my curiosity. Also I can probably be commissioned to extend or expand this set at a reasonable rate. Your work is awsome. I will include some of these icons in my new game. Thanks alot. Very nice set again ! 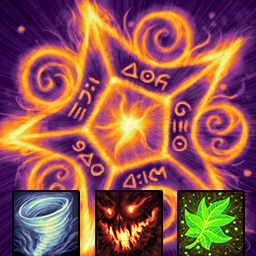 Also some icons can be combined to make new ones : eg meteor with fireball + rock (it works at least for the level 3). Thanks, the wind one is exactly what I was hoping for! Coincidence then, i have no idea what "Demon's Crest" is. I spent a good amount of time looking at various WoW icons, and random photos on Google, but didn't copy anybody's art. Great work! These packs look very nice. I really like the effects. Do you know of any tutorials online that concern creating artwork like these? I don't know of any tutorials. It's mostly good old-fasioned painting, with a digital tablet happening to be the medium. I do use one "trick". 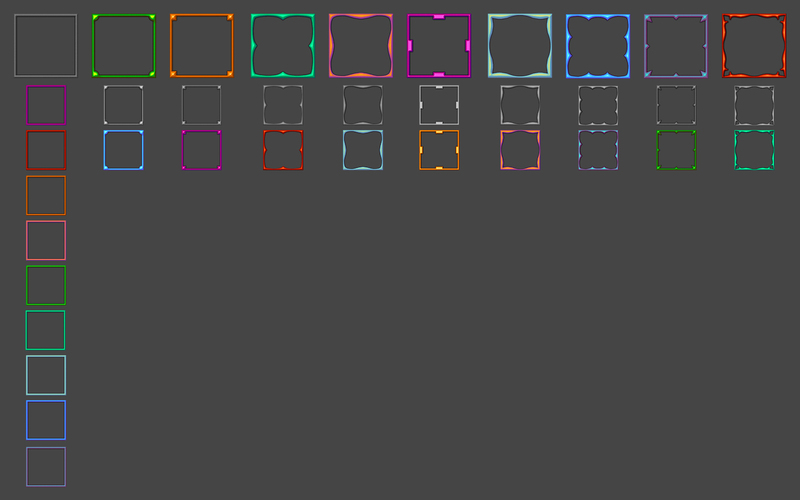 These are all painted as grey-scale, with a gradient-map on top that applies colors. Just a heads up, you might want to tweak your site a bit so that people can see what it's about without having to install silverlight, then they can make an educated decision as to whether it would be worth installing silverlight to experience your content. You'll find, I think, that OGA's userbase has a rather lower install rate for Silverlight than the rest of the population. Here you see the dowry of an artist. compliments.